"Not-A-Pod is a convenient, user friendly product for increasing camera stabilization. 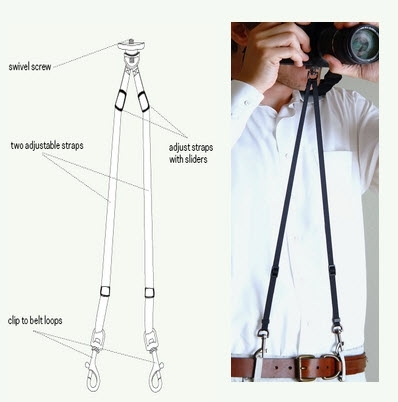 It consists of two adjustable straps and a swivel screw which attach to a camera and the user's belt loops. After adjusting the straps for individual height, tension is achieved when the user pulls up on the camera as the photo is taken, providing a three point stabilization system." Looking to get greater stability when taking photos? If you don't mind looking a little goofy, then this might be just the product for you. It's definitely clever!